The Bengals are mum on any possible news about the signing of their seven rookie draft picks, including top pick Michigan CB Leon Hall. No AFC North team has been successful in getting their top pick signed as of this point except the Steelers, who already have all their draft picks signed and ready to go. The Browns will have the task of signing two first-round draft picks, and reports say that they are nowhere near getting either deal done. Right now only three first-round picks in the April draft have reached terms with their teams. Hall was the 18th overall pick, and as more players picked in the teens sign their deals, the Bengals should be able to slot Hall better. Cincinnati has had to deal with picks being late more than once over the past few years, as Running back Chris Perry (2004), linebacker David Pollack (2005) and cornerback Johnathan Joseph (2006) all were hold outs in the past few years and missed at least one practice. 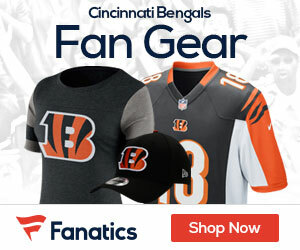 The last time the Bengals had a first round pick in camp on time was 2003, when Quarterback Carson Palmer had a deal already in place with the team when he was taken with the number one pick in the draft.